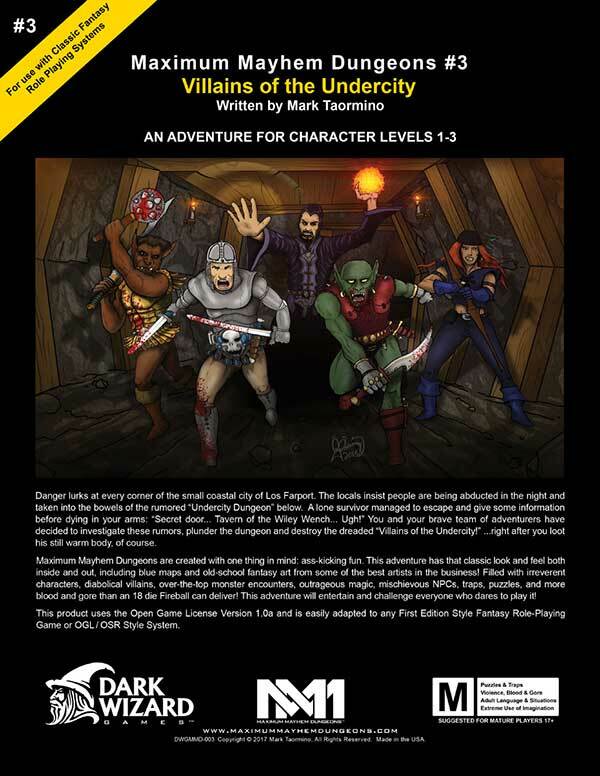 Dark Wizard Games creates Open-Gaming content that works across role-playing systems, bringing you new adventures to enrich your fantasy gaming. 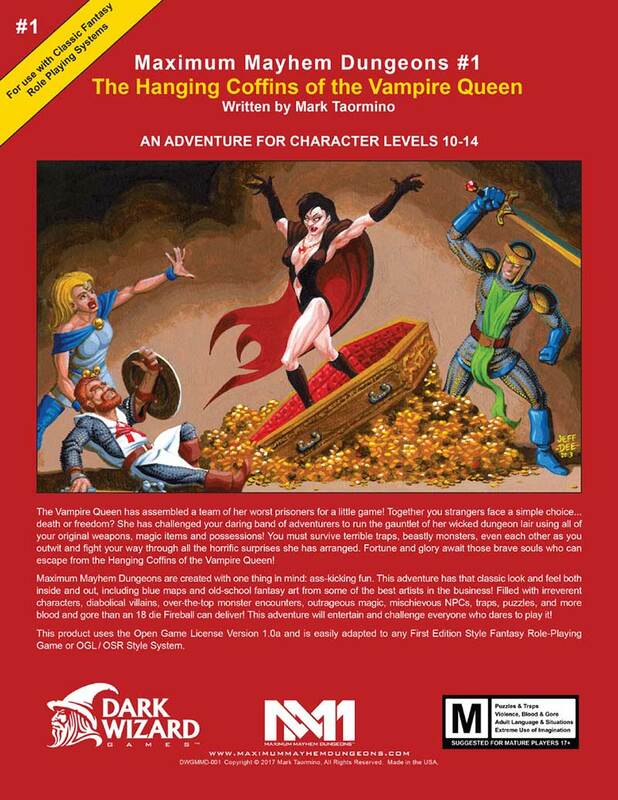 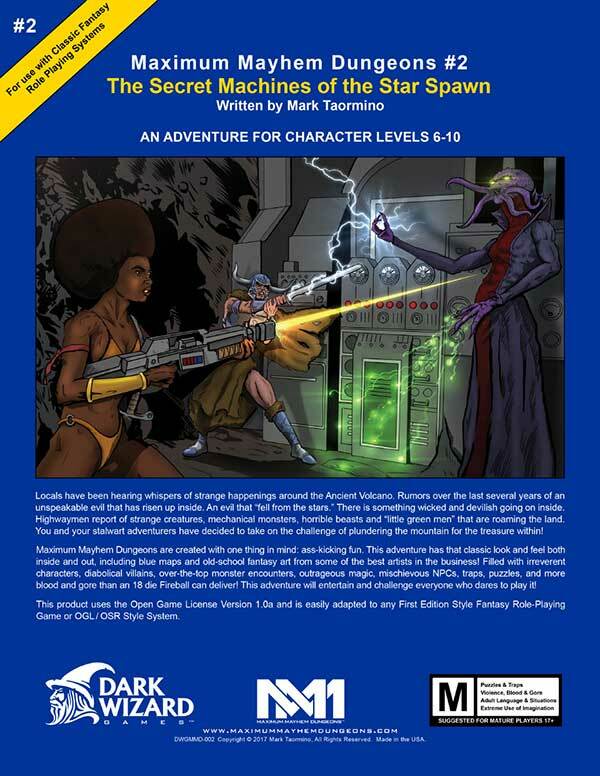 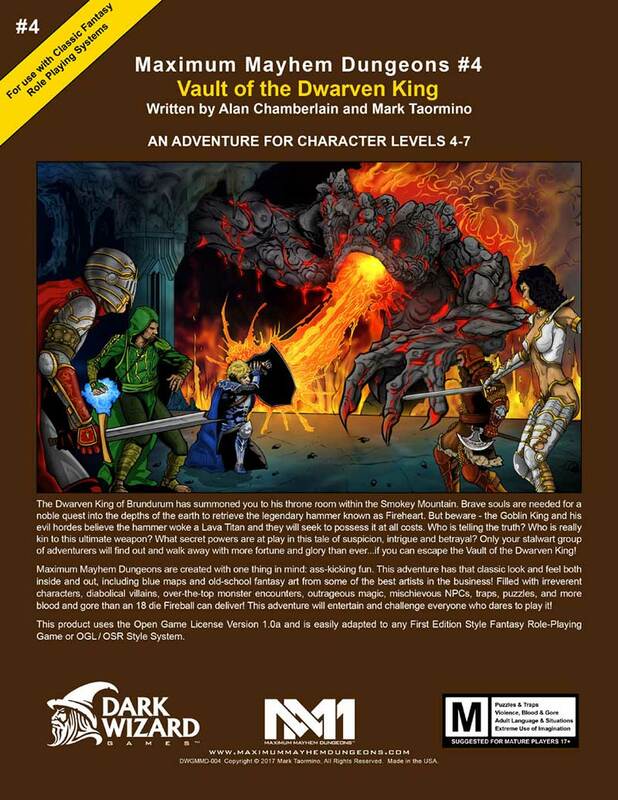 Our Maximum Mayhem Dungeons Series continues to redefine the genre while preserving the classic look and feel of the original 1st Edition AD&D style adventures we all love. 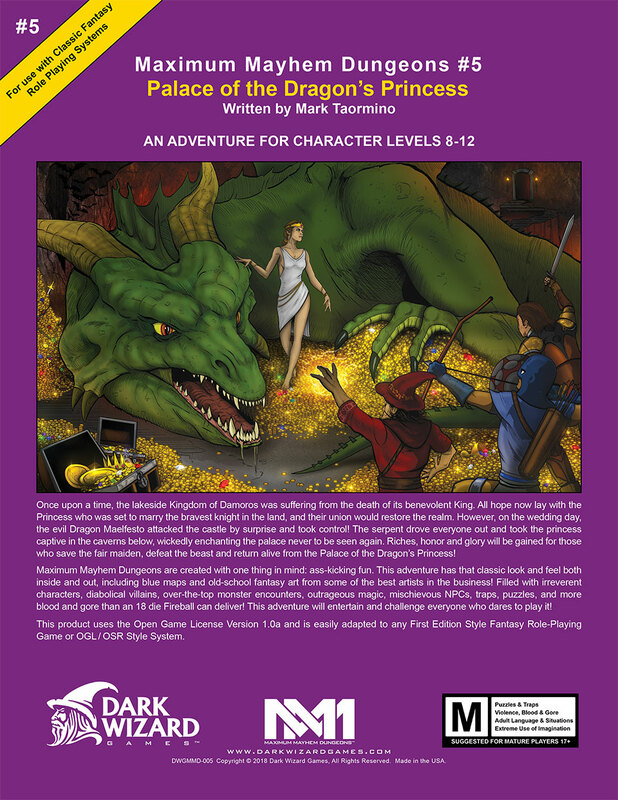 See the Resources page to convert to 5e.